Breville has a new range of toasters and kettles that are out of this world. Two super-premium products from the Elements range – available exclusively from John Lewis from 1st December 2012 – certainly live up to the promise of quality, sharp-design and excellence, which runs through the brand. The futuristic, ultra advanced toaster and kettle are appliances even Bond’s kitchen would not be seen without and both act as a statement piece for any kitchen; the functionality is unbeatable and the sharp and unique design speaks for itself. 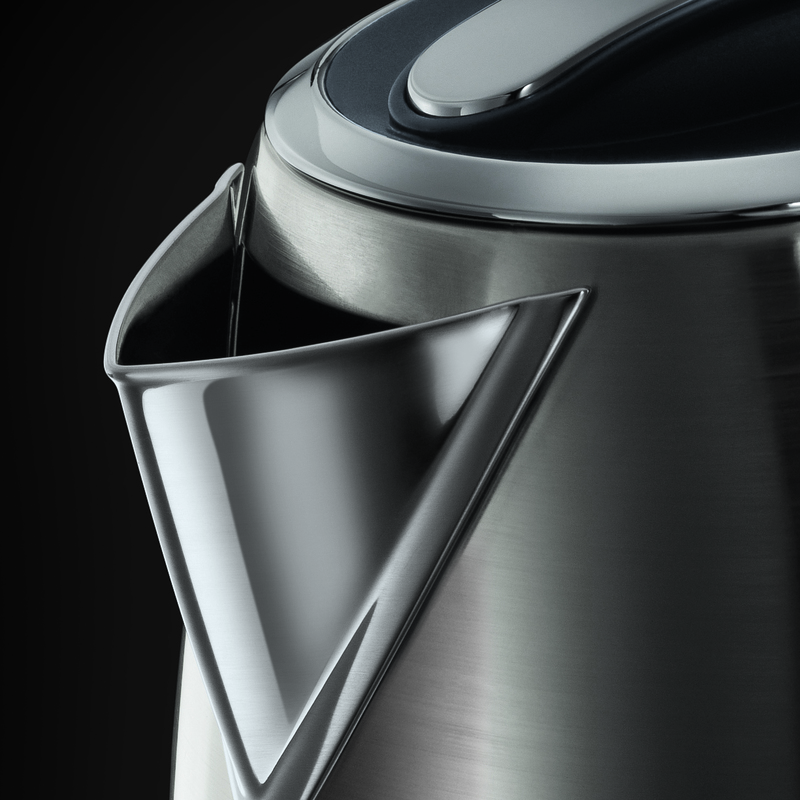 The kettle’s cutting edge design and impeccable functionality means making a simple cup of tea is an enjoyable task; offering a fast boil, 3kW concealed element, 1.7L family size capacity, 360° rotational base, internal illumination and a premium brushed and polished finish combination to accentuate a unique look and feel of the highest quality. The Four Slice Toaster boasts a truly aspirational product specification features a unique slot selection function; allowing you to choose whether you want to toast one, two, three or four slices, saving you both time and energy! It also includes everything from a four slice capacity, variable browning control and width bread slots to its dual crumpet, defrost function, illuminated dials and fully removable crumb tray. If this isn’t enough, the Elements toaster also features a toast progress countdown illumination around the dial. Both products are constructed from high quality stainless steel and die cast materials, proven for their strength and durability, as well as its aesthetic appeal. The razor sharp lines that run throughout, combined with the highly sophisticated matt tones portray a precision that is without parallel in kitchen gadget design. These stunning kitchen appliances will undoubtedly appeal to individuals who appreciate the prestige of owning high quality products that make you look twice, whilst withstanding the heavy duties required of them and standing the test of time. The Elements Premium Stainless Steel Jug Kettle has an RRP of £79.99 and the Premium Stainless Steel 4 Slice Toaster an RRP of £137.99 and will be available to buy from 1st December 2012, exclusively at John Lewis stores and online.